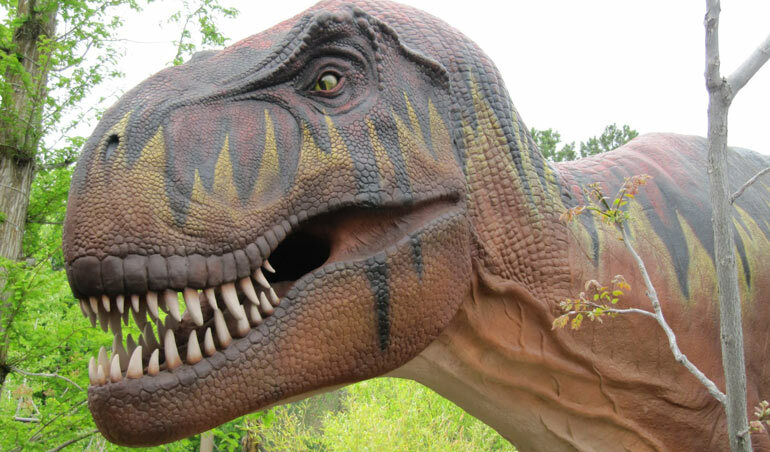 Tyrannosaurus Rex is undisputably one of the biggest dinosaurs in the world. So naturally, St. Louis’ startup hub and incubator, called T-Rex, is just as large. The T-Rex space in downtown St. Louis already houses 70 startups, five funding and mentoring groups, including the 630 Accelerator, as well as space for entrepreneurial and startup focused events. We’ve covered T-Rex startups quite a bit here at Nibletz. Now, as the space celebrates its second year and milestones like growing from 6 startups to 70 startups, they’re naturally ready for a big expansion. On Tuesday they announced that they would be acquiring the Lammert Building at 911 Washington Avenue, also in downtown St. Louis, giving them a whopping 160,000 square feet for startup and entrepreneurial greatness. “The building will provide opportunities for us to deepen and broaden our mission, which will include a strong focus on digital design,” said Kevin Farrell, Senior Director of Economic Housing and Development for the Partnership of Downtown St. Louis. As a sponsored project of the City of St. Louis, the Partnership for Downtown St. Louis, and the St. Louis Regional Chamber, T-REX was able to fund its acquisition and renovation of the Lammert Building through a variety of partnerships. The funding support includes New Markets Tax Credits allocated by St. Louis Development Corporation, which raised a $1.7 million investment by St. Louis-based U.S. Bancorp Community Development Corporation. The New Markets Tax Credits financing enabled T-REX to acquire the building and maintain its ability to provide stable, low-cost, and flexible membership to startup companies. These funds will also provide initial funding for tenant improvements. They plan on starting renovation on the building immediately and plan to move into the building in early 2014. Find out more about T-Rex here. That seems to have changed now that 1776, the DC startup hub and coworking space founded by Startup Veterans Evan Burfield and Donna Harris, is up and running on all cylinders. Since opening this Spring, there hasn’t been a dull moment at 1776. They’ve hosted Startup Grind, TechCocktail events, several hackathons, startup launch parties, and several other startup activities. They’ve also announced major partnerships with top educational publisher Pearson,and others. They’ve even announced a global startup challenge that will bring startups from around the world to Washington, DC for a tournament style final next year. Now, General Assembly has given the nation’s capital a second look. They’ve decided to take up residency on two lower floors of 1776’s space on 15th street in NorthWest Washington, DC. The space sits directly across from the Washington Post which is in the process of being acquired by Amazon founder Jeff Bezos. McKenzie reports that DC’s General Assembly will begin hosting workshops and short form courses as early as next month with their long-term curriculum kicking off in 2014. This marks the 9th General Assembly campus. They also have locations in New York City, San Francisco, Los Angeles, Boston, London, Sydney and Hong Kong. Burfield and Harris were influencers with Startup America before founding 1776 a short seven months ago. Harris was a director with the Startup America Partnership, and Burfield was the founder of the DC region for Startup America. They’ve attracted over 100 startups to the 1776 space. In addition to serving as a hub for startups in Washington DC they are also linking startups from across the country and around the world to the federal government which happens to be the largest enterprise client in the world. 1776 sits just four blocks from the White House. Find out more about 1776 at 1776dc.com and General Assembly here. Several DC area startups and founders are headed to Cincinnati later this month for this huge startup conference. That’s what Startup Threads founder and New York startup activist Frank Denbow told us in an interview last May. Whether you’re in Manhattan, Brooklyn, The Dumbo District, or even Harlem, every area seems to have a vibrant startup community. 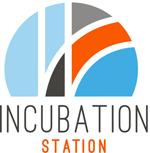 Last year we reported on Harlem incubator IncubateNYC. That effort founded by Marcus Mayo and Brian Shields was in response to a call to action for Harlem small businesses and startups by Mayor Bloomberg. Now Harlem is getting a new hub for startups called the Harlem Garage. New York co-working company MicroOffice is opening their newest location at 318 West 118th Street right in the heart of West Harlem. The company already has several small office and desk space options scattered across New York City. They aim to help small businesses and startups transition from the home to a more traditional office. Like most co-working companies, MicroOffice bundles all the needs of today’s workers into one easy-to-understand agreement. Things like power, faxing, conference rooms, and internet are all in the agreement. The company also installs community managers at their locations, but they function as much more than just landlords. They try to ensure complimentary diversity within the coworking space. They also help facilitate programming that’s necessary for today’s growing companies. Legal, accounting, PR, and other workshops are a mainstay across the MicroOffice facilities. The Harlem Garage is 5000 square feet of coworking space and will house a diverse community of 150 members according to Black Enterprise. They also plan to offer discounts to women and minority-owned businesses as well as hold annual contests for desk space. “Harlem Garage is about the advancement of Harlem small businesses through the exchange of expertise,” Ryan Young, Harlem Garage’s Community Manager told Black Enterprise. There’s been a lot of talk lately about the success rates of both incubators and accelerators. While incubators can go long term, one of the biggest themes among people who doubt the accelerator model is what happens next. Accelerators want to continue to churn out new companies, and some suggest they do it at the expense of previous cohorts. A lot emphasis is put on the few companies that get follow-on funding and move to the next level, and no one takes into account that most of the companies in accelerator program don’t make it 3-6 more months down the road. Andre Fowlkes, the co-president of Memphis based Start Co, the organization that puts on the Seed Hatchery accelerator now in it’s third year, recently told the Commercial Appeal that programs with a 3 month bootcamp-style program and 6 additional months of curriculum and training would be a more effective model. Many agree with that idea, including Jeremy Vaughn the co-founder of Atlantic Beach, Florida’s The Factory accelerator. They take companies through a quick intensive program and then continue to work with them for a year. The Brandery, Cincinnati’s accelerator that often comes in the top 20 in rankings, puts a cohort through the summer and then the companies are welcome to stay around, keep office space, and continue working with the mentors in the community until the next class moves in a year later. 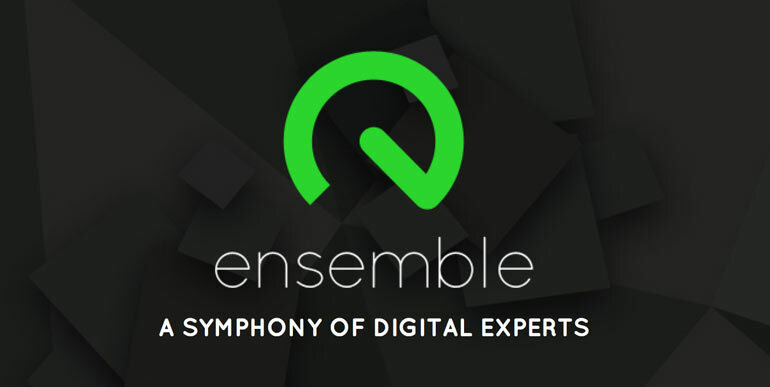 Now, 5 digital services leaders in Chicago, including successful social startup Social Katy, have teamed up to form Ensemble, “a symphony of digital experts.” The concept was called an investment firm by the Chicago Tribune, an incubator alternative by other sources, and an excubator in a press release. Ensemble is actually a combination of all three. Red Rocket Ventures (business consulting & capital raising), Ora Interactive (technology development & design), Loud Interactive (search engine optimization), Walker Sands (public relations), and of course SocialKaty (social media marketing) have teamed up to offer startups and rampups a suite of focused services in a one-to-one relationship vs cohort based. All five together encompass most of everything a startup would need outside of technical expertise, which most startups have. If you were to combine the cost of working with each of the five companies individually to reach a company’s common goals and grow a business, the services would cost hundreds of thousands of dollars. Through the Ensemble group, services in a combined suite will be discounted to startups. They will also offer their services at a substantial discount for an equity stake in the companies they are working with. This is commonly referred to as “creative capital” and is a growing trend across the startup landscape. All 5 companies will play a part in managing Ensemble with Rocket Ventures Managing Partner, George Deeb, serving as the day-to-day General Manager. The ATX Startup Crawl at SXSW 2013 brought us to the offices of Incubation Station, a consumer packaged goods accelerator program. The program, founded by Shari Wynne, just announced it’s selections for their second cohort which runs from March 19th to June 11th. The session will close with a Showcase day that will attract hundreds. Austin is on fire about this new CPG program. At their recent event to announced this year’s cohort it was standing room only. In a city known for it’s budding tech startup community, Incubation Station doesn’t do tech they focus on helping to build consumer packaged goods, and the program is working. Wynne told us in an interview that 5 out of 5 teams in the last cohort received the funding they needed to accelerate to the next level. Wynne is no stranger to startups of the tech variety though. This firecracker woman who functions like a 25 year old caffeine filled founder, practiced law at two of the biggest firms in Washington DC. After that, she hung her shingle out and worked with the phone on the floor, to help bring legal services to entrepreneurs and startups. Her law firm, MWR, has the big firm experience with the boutique firm feel, and entrepreneurs love the attention she and her lawyers can give them. Ten months ago, after the passage of the Jumpstart Our Jobs Act (Jobs Act) we saw a huge jump in the number of crowdfunding startups. The JOBSAct permits the early stage funding of startups through everyday people who don’t fit the requirements to be considered “accredited investors”. Once the Securities and Exchange Commission finishes preparing regulations for online crowdfunding of businesses, friends, family members and even customers will be able to help fund a business in exchange for a small equity stake with no formal experience in venture capital or angel funding. This form of investing takes its cue from already existing successful crowdfunding sites like KickStarter, and Indiegogo. The main difference now is that people are funding companies, ideas, projects and products through a donation platform that often leads to perks and rewards when donating at a certain level. As crowdfunding for equity approaches reality ProHatch, an already existing crowdfunding company, is now offering an online crowdfunding incubator for all entrepreneurs to learn the ins and outs of what lies ahead to those considering crowdfunding as a method of raising funds for their business. The company offers an alternative method to small businesses and philanthropy organizations wanting to fund their projects and ideas by using the power of the crowd and their innovative Phase-to-RaiseTM donations & rewards-based crowdfunding process. All entrepreneurs can NOW register for the program by visiting www.prohatch.com. Registration runs from February 20 – March 15. 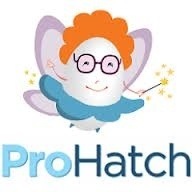 Moreover, ProHatch’s 2013 Online Incubator Program will broadcast in a three part series running Monday – March 18; Wednesday – March 20; and Friday – March 22 at 11am-12pm eastern. • A Free Training/Educational Series called “Coffee & The Crowd” – an online webinar training program series that gives participants and opportunity to enjoy a free cup of Starbucks coffee, compliments of ProHatch, while being educated on the latest information about crowdfunding and business preparation by both ProHatch and industry experts. The training courses will take place over the course of one week, with three one-hour webinars on Monday March 18, Wednesday March 20, and Friday March 22, all at 11am ET (US). Topics will include Crowdfunding 101 & The JOBS Act, How to Enhance Your Projects, How To Prepare Your Business, and Using Social Media To Build Your Crowd. In addition, from all those who participate in the Online Crowdfunding Incubator Program, ProHatch will select 50 entrepreneurs who have chosen ProHatch as their crowdfunding platform, to earn a scholarship for participation in an extended Incubation Program that will run concurrently with their ProHatch Crowdfunding Campaign. As part of the extended Incubation Program, ProHatch will deliver an array of Advisory Services including additional training opportunities, free access to a social media and publicity platform, and several hours of free business consultation. Pittsburgh just opened up a new incubator space which will house fifteen to twenty early stage startup teams across a variety of industries. 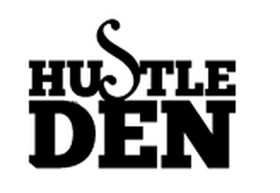 With the grit and grind that comes with building a technology startup in a blue collar town, it’s appropriately called the “Hustler Den”. With the first class of teams set to move into the space, it’s good to know that they’ve secured an anonymous donor who’s provided the incubator with enough funds to run for three years. The fifteen to twenty startups will have free desk space, access to conference rooms, break out rooms, a ping pong table, original Nintendo and other recreational and community benefits. They are also hoping that the teams will leverage each other’s networks along with the mentors committed to helping those hustlers. This local Pittsburgh blog reported that over 200 people showed up for the grand opening of the Hustler Den including Pittsburgh Mayor Luke Ravensthal (who was also spotted at the DNC startup celebration in Charlotte this past summer with Startup RockOn). Ravensthal leads a new wave of municipal leaders that realize the days of big corporations moving into towns to create jobs are over and cities need to embrace the future employers of America. Allegheny Organics is committed to providing an easy and seamless organic waste recycling service to the residents, businesses, restaurants and community events of Allegheny County. Through our efforts, we aim to promote healthy eating, responsible farming, waste minimization, and local economic sustainability, which will play an integral role in reinvigorating our region and building a strong, cohesive community. Hajj Media / Virtual Lobbies designs and tailors mobile and web solutions, to decrease the inefficiencies in appointment scheduling and line management, with a dynamic platform that not only increases the transparency of wait times, but allows people to interact remotely. The debut product of Virtual Lobbies is the “Q”, a generally applicable mobile-web application for appointment scheduling and line management for a number of markets: barbershops & beauty salons, administrative offices, mechanic shops, massage parlors,colleges & universities, valet parking, etc. Open Curriculum is a non-profit organization based in Pittsburgh, PA with a vision to provide access to high-quality K-12 learning material to children around the world. We are involved in developing a platform that allows communities to access, create and share K-12 curriculum material, and in due course, become a ubiquitous Wikipedia-like hub for K-12 learning material. Orro believes in aiding your team’s funding efforts, while building a sustainable earth in the process. Orro is a free and easy eco-friendly movement, where we collect and examine old electronics to ensure the most resourceful way of reusing, reducing or recycling each individual item. Orro does not require any paperwork, so get on your feet, and help your team grow with the environment today! Private Lender Nexus helps solve the problems that many commercial real estate professionals have when looking for private money to fund their own or their clients commercial real estate needs. To find the right private lender can be time consuming and fraught with unethical lenders and brokers with upfront fees. Private Lender Nexus will be an online database of screened private commercial real estate lenders. Commercial real estate professionals will be able go to our website and enter their private financing needs and be matched with verified and ethical private lenders with no upfront fees throughout the continental United States. Aura is a bicycle safety lighting system which illuminates the wheels of the bicycle and dynamically responds to the rider and environment. Salad Specialty/ Team Salad is developing a specialty salad restaurant concept for the East Liberty area, focused on providing access to health-conscious and nutritious meal options in the region. We are designing a new dining experience with a creative food presentation style–inspiring everyone in the ‘Burgh to start thinking “out of the box” when it comes to eating more veggies! Scholar Hero wants to create a web-based, tablet, and mobile app that will get scholars and students to share works-in-progress in a fun and collaborative manner. We hope to establish the most trusted and engaged place for academia online. Source is a restaurant and educational facility that aims to inform, inspire, and invigorate customers in every stage of the sustainable growing process, from seed to plate, in a unique dining atmosphere that embraces guests as an integral part of the food production and preparation process. Source will be a beacon for health-conscious eco-consumers who wish to exercise mindfulness in their selection of food products, even while dining out, and who are interested in learning more about sustainable food systems. Kennedy Blue Communications provides strategic communications plans to leverage clients access and impact with consumers and media markets. Services provided include: press placement, writing and editing services, consulting, web development, video and animation production, marketing and branding. Haitian Families First (HFF) is a non-profit organization, founded by Pittsburgh sisters Jamie and Ali McMutrie that provides support by strengthening communities through nurturing families. Our long-standing presence in the community, holistic approach, and three distinct programs allow us to work with families to assess their individual needs to help them achieve their goals of family preservation and self-sufficiency. Haitian Families First preserves and sustains families by helping them to find employment, supply their loved ones’ most basic needs, and provide for their children’s educations and care. NAVISection is a project to enhance driver licensing decisions with intelligent vehicles. Our mission is to link technologies advancing driver evaluation, training, and safety for people seeking to obtain or retain a driver’s license. Student InTuition, a for-profit social enterprise, offers a web-based platform designed for college students who want to reduce their debt and develop better career opportunities. Student InTuition monetizes in-class work products in the form of direct tuition payments for students in exchange for high-quality work products and meaningful recruiting opportunities for sponsoring organizations. Sponsortize is an ad platform that allows local businesses to support local bloggers and advertise to local communities. The New York Times is going through a rough time right now. They are in the middle of staffing cutbacks that are coming in the form of layoffs and voluntary buyouts. New York Times editor Jill Abramson has said there were far few layoffs than they had anticipated, primarily because of voluntary buyouts. Although the times proper is reducing staff, they have announced a new initiative to spearhead innovation at one of America’s most widely known newspapers. The new program called timeSpace is somewhere between in incubator and an accelerator. “You may call it an accelerator or an incubator; right now we are calling it an experiment” they wrote on their blog. The Times is not seeking equity on the companies that apply and are accepted into the program. They hope that when a company that goes through the program, raises institutional financing, that they will be invited to participate. They are leaving that decision to the startup. timeSpace is seeking media focused startups with a product launched. The startups will either already be based in New York City or willing to relocate to work in the space that’s in their headquarters at Times Square (620 8th Ave). Startups in the mobile, social, video, advertising technology, analytics, or e-commerce spaces are invited to apply for the four month program. Over the four month period selected startups will be invited to work and grow alongside entrepreneurs and employees who make their livings in digital media, technology and journalism. We are based in New York City, with six bureaus in the region, fourteen national news bureaus and twenty-four foreign news bureaus. We have more than 1.5 million print and digital subscribers and had 49.4 million unique visitors to NYTimes.com in December 2012. More importantly, we are journalists, developers, designers, product managers and more who are proud to work at the news organization that has won 108 Pulitzer Prizes and Citations. The paper said. Applications are being accepted through 5pm EST February 19th here. There is no seed capital involved. Tech bloggers, political bloggers and journalists alike have been praising the 2012 Obama campaign team. Countless articles have reiterated the fact that the Obama tech team was more prepared, thorough and ready to win than their counterparts at the Romney campaign. To win this election technologists and politicos alike needed precise coordination and to remain on the same page at all times. Ashley Arenson was one of those Obama staffers that did just that. According to Allthings D, Arenson served as a conduit between the technologists and the veteran politicos. “Day in and day out, the job was to identify challenges, and identify people who could help me solve them” Arenson told AllThings D. Obviously she played in important role in the grand scheme of things. In most positions when you’ve achieved your work place objectives you’re promoted, praised or given a raise. For Obama 2012 staffers, a win (or a loss for that matter), meant they needed to find another job. Arenson was able to do that with Lerer Ventures. Lerer Ventures is the seed stage venture capital firm based in New York City and founded by Ken Lerer who’s credits include being a co-founder of The Huffington Post. Lerer’s son Ben is a partner in the firm and is the cofounder of his own successful startup, Thrillist. Lerer Ventures has tapped Arenson to serve as the General Manager at their in-house incubator, Soho Tech Labs. Arenson is going from her position at the campaign as “Director of Integration and Innovation” to a position that’s actually somewhat similar at Soho Labs. In her role at Soho Labs Arenson told AllThings D that her task is to help would-be entrepreneurs get their projects ready to ship and ready to raise a seed round. She’ll also connect entrepreneurs to Lerer Ventures network of resources which include some of the biggest names in the New York tech and startup scene. To date Soho Labs has launched Rebel Mouse, CasaHop and Emogo with plenty more in the pipeline. everywhereelse.co The Startup Conference is the largest startup conference in the U.S. with over 2000 tickets sold and 100 startups in the startup village, more info can be found here. Location Intelligence is a rapidly expanding field, thanks to advances in mobile technologies, sensors, data quality and analytics. 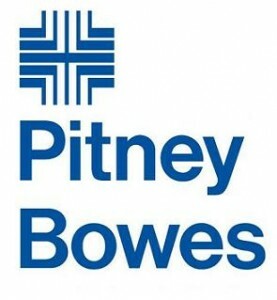 Pitney Bowes Software is a leader in the geospatial industry, with over 25 years experience and global presence. We are offering unprecedented access to our technology platforms and data sets to companies that can integrate them into new products and services. Lower costs of electronics are making it possible to make and deploy a variety of sensors and detection devices that didn’t exist before. Security tends to be an afterthought. Yet, security is needed to ensure the veracity/validity of the data. Pitney Bowes offers superior technology to secure this data. We are looking to work with entrepreneurs and startups to leverage our deep expertise and advanced technology in new and exciting ways. With the introduction of the Connect+ Series, Pitney Bowes not only launched the world’s first mailing machine with a web based architecture, we also launched the first full color mailing system, which now enables clients to use the mail piece as a marketing tool to engage their customers and prospects, adding messaging, logos, and QR codes to the face of the envelope. In the last year, Connect+ mailing systems have processed over 1 billion mail pieces. That number will exceed 7 billion in the next 5 years. How would your business use Connect + to increase the value of the mail piece for each recipient? How could we leverage the capability of color printing on the envelope to provide new opportunities for Connect+ mailers and their customers? What types of compelling browser-based mailing or shipping applications could be developed? The prize package for the winners includes; One year of free utilization of office space and internet access at the Pitney Bowes WHQ in Stamford Connecticut; Access to Pitney Bowes platforms and capabilities relevant to the three competition areas along with Pitney Bowes’ technical and business expertise; An introduction and access to the Stamford Innovation Center and mentoring. Interested entrepreneurs and startups can apply through September 7, 2012 at this link. Winners will be chosen and notified in November and will begin moving into the Pitney Bowes WHQ (World Head Quarters) shortly there after. First off The Brandery is in what appears to be a traditional older storefront in a building dating back to the 1860’s. The building the Brandery is in as well as the surrounding buildings typically housed a storefront on the bottom floor and then residential units above. In the case of the Brandery, the first floor has been converted to bull pen style desk space where each of the 11 startups in this session can collaborate, bounce ideas off of each other and inspire each other through competition. The second floor houses a group classroom like area and the third floor is what Brandery GM Mike Bott says they’re informally calling the “alumni penthouse”. We got the chance to have an in-depth interview with Bott and McDonald who are very proud of what they’ve built so far. While the Brandery runs a familiar model, which most of the Global Accelerator Network accelerators utilize, there are things about the Brandery which are inherently different, that make it a special place to grow a business. First off the Brandery is a non-profit organization. Yes the companies selected for the program give up six percent equity for a $20,000 seed investment. However, that investment is coming from the Brandery, and not the founders, or investors. In other words, as Bott confirmed, when Brandery alumni start to make big exits, the money goes back to the Brandery directly to run the program and invest in more worthwile startups. Next, the Brandery keeps the class size small. This year there are only 11 companies. Companies move in at the start of the session. They have three months of vigorous boot camp style work, training, seminars and business education, but after Demo Day they don’t move out, in fact they are encouraged to stay around where they still get the benefits of the mentors who show up to the Brandery for basketball, beer pong and the latest new and interesting lecture. Even after the first year, alumni companies can pay very minimal rent and move up to the alumni penthouse. The Brandery companies are also encouraged to play a big role in the Cincinnati entrepreneur and startup community. For instance, just after arriving in Cincinnati this year, all of the Brandery companies participated in the BunBerry TechBurry Pitch Wars, which 2012 Brandery company Crowd Hall actually won. But what’s great about that event was that all three Brandery classes were represented there. Also at Startup Weekend Cincinnati all of the Brandery companies have been given a free pass to help Startup Weekend teams, and were even encouraged to pitch. In fact, CrowdHall’s Austin Hackett pitched one of the ideas that’s being built this weekend. While there was a lot of banter on Impulcity about Hackett and his Startup Weekend venture, he assured us that his team is 100% committed to Crowd Hall and we’re working on that all weekend too. Even Brandery co-founder Rob McDonald was an official mentor for Startup Weekend as well. The involvement with the community works both ways though as Bott explained later on. For instance 11 different local advertising agencies in Cincinnati have donated time to work with each of the Brandery companies. There are also a lot of area mentors who work closely with each Brandery company. Impulcity is an amazing feature packed discovery startup from Louisville, KY. We spoke with Hunter Hammonds the CEO of Impulcity back in June before they had moved into the Brandery. Hammonds was very optimistic about Impulcity and the Brandery. After two weeks in he’s just as optimistic. Hammonds reports that they’ve trimmed a lot of fat off the app and gotten back down to the core. They have a unique way of presenting discovery so that it’s not just about the actual discovery, it’s both fun and exciting as well. 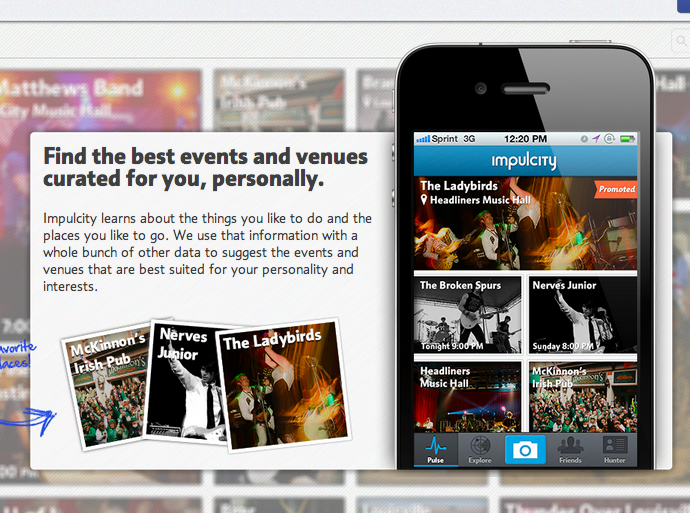 Impulcity is about a lot more than just checking in. Yesterday we talked with the CrowdHall team at the Brandery. They were still riding high off a win at the BunBury, TechBury Pitch Wars on Friday. The team from Utah took home a $1,000 check and they’re buying lunch for the entire class of the Brandery tomorrow. Don’t let that full you though warns Hammonds. He and his co-founder Austin arrived at the Brandery a full month ahead of everyone else to get a running start. That strategy may be paying off well for these hard working entrepreneurs from Louisville. Let’s check in with Hunter Hammonds. We talked with Utah startup CrowdHall a few weeks back. They had been selected for the Brandery incubator in Cincinnati which is one of the most popular incubators in the United States. We got to talk with co-founder Jordan Menzel right before the crew packed it up to move east for three months. 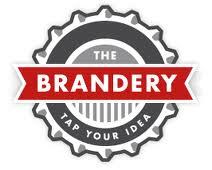 The Brandery’s 2012 session started on July 2nd and last week was their first full week in. CrowdHall has agreed to check in periodically throughout their experience in Cincinnati and at the Brandery. Their first check-in was a little late. Not only has the CrowdHall crew been working around the clock, but they were also busy competing in the BunBury festival’s TechBury pitch wars. CrowdHall faced off against Brandery alumni VenturePax which we’ve also covered here at nibletz.com. The CrowdHall team rode their bikes through a seedy section of town at nearly midnight, back to their apartment with a $1,000 check,emerging as the winners of the pitch wars. Imagine if you could mix a social network, reddit,crowdsourced answers and a town hall meeting into one platform that wasn’t an absolute train wreck. Now imagine if you could use that platform to host virtual conferences, discussions with elected officials, or even with your blog audience (yeah we can’t wait to try it). Now stop imagining because that’s what the founders of CrowdHall are doing. So give us a little insight how was your first full week at the Brandery? We’re kids in a candy store. As a startup, you learn to get by with limited support, limited resources, and having to fight for mentors’ time. So when we showed up to the Brandery, we were able to turn on fire hose and start drinking. We’ve loved being around the fellow startups, working with fascinating mentors, and of course taking advantage of the nitty gritty legal help. The collaborative office space is great too, and is a vast improvement to our last corporate office (the public library). We’ve quickly seen that workshops, pitches, BBQ’s, ball games, late nights of coding, and 14 hour work days will be our lives for the next few months. Now that you’re finally at the Brandery what’s one thing that has surprised you guys about CrowdHall? We are all blown away with how much more we can get done when we are all working in the same space. Early in our development, our team was in DC, NYC, and San Diego. With us all together, the increase in productivity and turn-around is insane. After having worked for government agencies and big companies, nothing is more fun than having an idea in the morning, a team brainstorming session on it over lunch, and testing it out live on the site at night, with no layers of bureaucracy in between. What’s the best piece of honest feedback you’ve received from either the Brandery folks or a mentor? With the technology we’ve built, there are literally a hundred different applications and features that we have brainstormed. In addition, every time we talk to somebody new they get excited about some new way they can see themselves using the platform. When we sat down with our mentor Tim Schigel (Founder of ShareThis and Head of Digital Strategy for the Republican Party), he really pushed us to focus in on one application at a time, and prioritize the development based on working out one functionality, then going to market with that. We can’t try to do everything at once. met with mentors from Twitter, Anaheiser Busch, ShareThis etc…. we have definitely taken a step back to revisit our development priorities. But in terms of the core product, we are still about allowing crowds to communicate in a democratic and organized manner. Talk to us next week, we’ll probably give you a totally different answer. Organization!! With new interns, new mentors, new ideas, and new resources, we are about to dive into improving our teams structure and flow. Nick, our developer, is probably tired of getting pulled away from the code with every single thought/idea/recommendation. While it’s fun to be all in the space, it’s not always the most efficient. In terms of our product, we are getting ready for a pretty sweet soft beta launch coming up soon so keep an eye on Twitter and Facebook to see what we are scheming. Is there anything the public can help you guys with? CrowdHall is coming! Sign up for our beta launch at www.crowdhall.com. Once we launch, you’ll be able to communicate with those already on the site, and also recommend any people/organizations of interest you’d like to have a conversation with. We’ll reach out to them to join CrowdHall as your recommendations draw support. Has your experience at the Brandery been what you expected so far? Harder? Easier? It has been more all-consuming than we expected, but in a way, it’s actually easier. We are so excited to be working on the company and seeing how much it progresses with the time we put in, that none of us wants to be doing anything else. So even though the commitment is crazy, it’s only like that because that’s the way we want it. 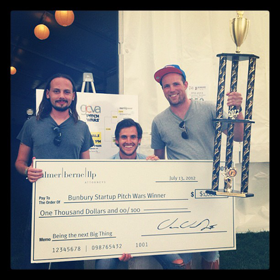 One hilarious experience was competing in the Techbury Pitch Wars at the Bunbury Music Festival, after 5 rounds of pitching against great companies we were stoked to have won, and that meant biking home with a giant novelty check and an unnecessarily large trophy.